"magnificent little engineered thing, just perfect for all of the things it does." An "architectural marvel - elegant fusion of form and function." HOW DOES EVOLUTION EVER EXPLAIN HEXAGONAL SHAPE? 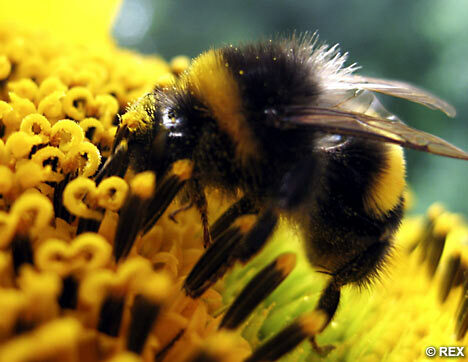 The continued disappearing of Bees and other pollinators is absolutely alarming as a very large percentage of food production depends on their services. 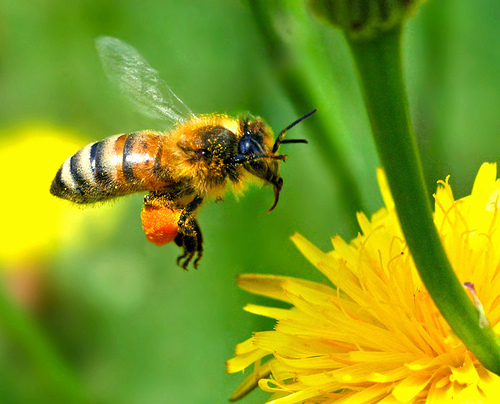 Albert Einstein said - "If the bee disappeared off the face of the earth, man would only have four years left to live." The YouTube video Silence of the Bees (50minutes) is WELL worth watching. 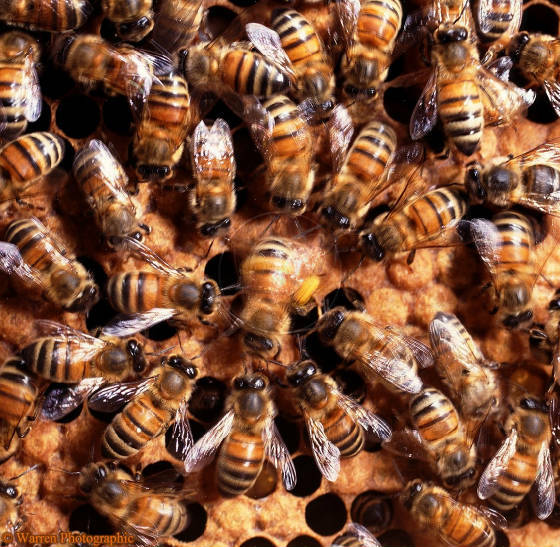 The breathtaking, encoded, dance of honeybees giving workers the direction and distance to new nectar sources is shown. 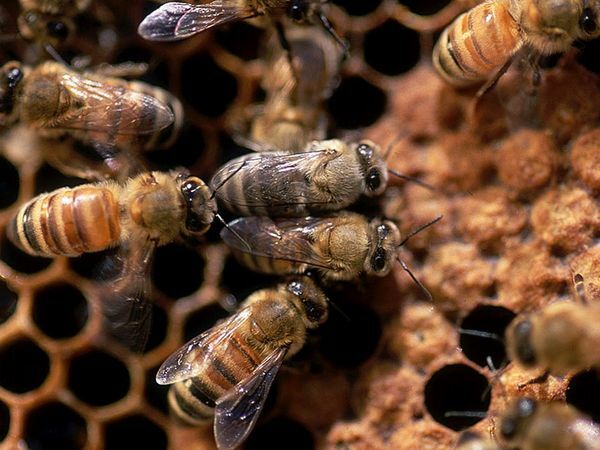 Don't be fooled by the phony argument that bees and flowers co-evolved. 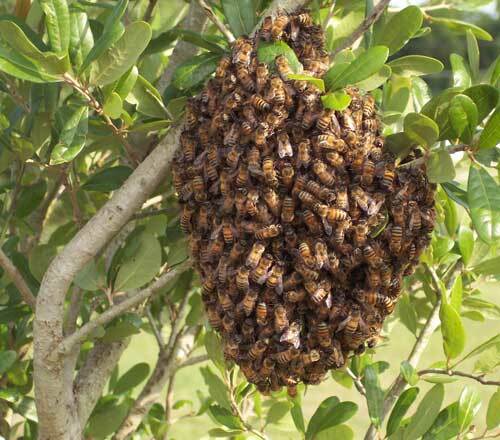 The encoded dance of the honeybees screams Special Creation by Almighty God. 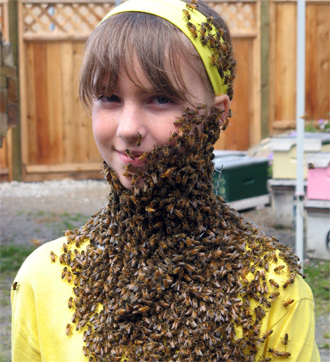 Aside from this, the video is terrific and fully warns of the tragedy of loosing bees. The video gets it right that the bee is indeed, the "magnificent little engineered thing, just perfect for all of the things it does." 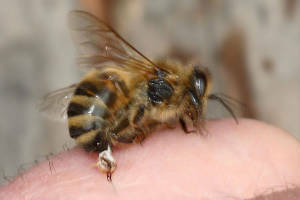 Citing the "proboscis for ferreting out nectar, powerful mandibles for feeding, feeding young, and handling wax, two compound eyes with 6,900 lenses each, three extra eyes for orientation, sensor body hairs that detect wind speed, and that build up a static charge in flight, so that as the bee lands on a flower, the flower's pollen jumps to the bee's body." And so much more of God's extreme design features. Remember that evolution requires entire suites of systems to come about by zillions of lucky accidental genetic mutations so that organisms magically "adapt" in zillions of particulars. Try to watch at least 10 minutes of the above video, better yet 20, better yet, the full 50 minutes is well worth the time. Also, don't buy into the old age cosmos rhetoric of billions of years. The Bible is right, the world is about 6000 years old, based on God's word and physical evidences. The old age cosmos scheme is a gigantic house of cards built on many improvable, unobserved assumptions and it is aimed at falsifying the Bible and providing a smoke screen for bogus evolutionary arguments. 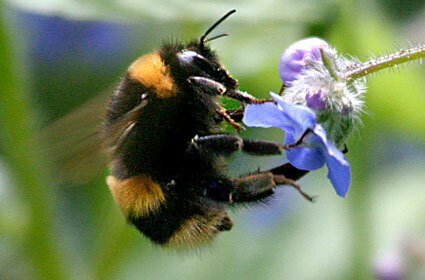 Eddie Levin at WorldTruth.tv web site has a succinct article Global Disappearance of Bees. Wikipedia's article Honey bee is great. 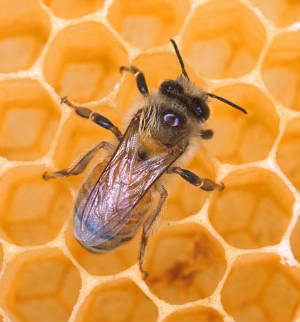 National Geographic's article Honeybee is great. A web search will find many many great videos, sites, articles and pictures. Excuse me for blurting it out, but I think it is likely the evil demonic world rulers and their evil elite human allies are purposely causing the waves of bee colony collapses to depopulate the planet 99% of us humans. Daniel chapter 2:40-49 (Iron, clay). 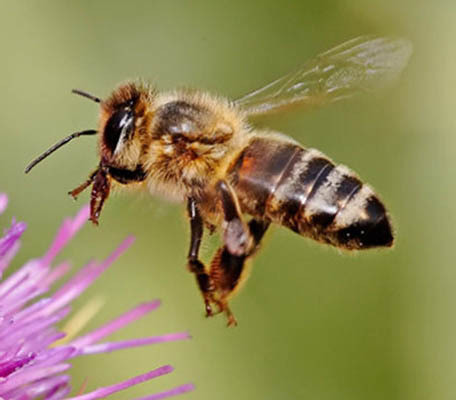 FLOWERS, BEES, ANIMALS, AND HUMANS, ALL HAVE GENDER, THEY ARE MALE OR FEMALE AND DO SEXUAL REPRODUCTION. OBVIOUSLY, THE BEES AND PLANTS, ARE MALE AND FEMALE AND MUST DO SEXUAL FERTILIZATION. GOD DOES NOT DO NEUTER. NEUTER IS JUST ABOUT NOT IN GOD'S VOCABULARY. GOD IS A STRAIGHT MALE AS JESUS CHRIST PLAINLY SHOWS IN HIS VERY PERSON AND LIFE AND AS THE WHOLE BIBLE PLAINLY SHOWS. GOD IS NOT GENDERLESS OR NEUTER AS THE GREAT MAJORITY OF FOOLISH, BIBLE REJECTING, BUT SUPPOSEDLY BIBLE EXPERTS, MAINTAIN. SEE MY PAGE GOD IS A STRAIGHT MALE, OR MY OTHER WEB SITE, GODISASTRAIGHTMALE.COM. GOD IS INHERENTLY, INTRINSICALLY, INNATELY - A STRAIGHT MALE, IN HIS VERY BEING. WOMANHOOD, IS, EPITOMISES, THE KIND OF BEING, GOD, AS A STRAIGHT GUY WOULD WANT. SO WE HAVE ISRAEL, GOD THE FATHER'S, "HER," AND THE CHURCH, GOD THE SON'S, "HER." GOD COULD NOT GO ON-LINE AND CHECK OUT THE DATING WEB SITES. HE HAD TO START FROM SCRATCH. ISRAEL IS HAVING A "TIME-OUT" RIGHT NOW UNTIL THE CHURCH IS RAPTURED. SEE MY PAGE ON THE BRIDEGROOM AND THE RAPTURE. The Devil and his helpers almost always use a lying cover story, of some supposedly good, noble, purpose, to hide their dastardly purposes. God, through Jesus Christ offers salvation to sinners, be they gay or straight. My Sin, Not in Part, But the Whole is Nailed to the Cross, and I Bear it No More. The Devil presents the plight of poor, downtrodden, gay people, as a noble civil rights cause. Not that we should not be empathetic toward troubled folks, -- But. The TRUTH is that the GAY THING is an All-Out War of Hatred Against God. God is a Straight Male. The Gay life is presented as sheik, exciting, noble, TO DEFENSELESS SCHOOL KIDS, BY SLICK GAY ACTIVISTS often behind the backs of unsuspecting parents, who are horrified when they find out. We all must be PRO-ACTIVE, go on the OFFENSE, and OVERRIDE, GOD-THE-NEUTER, lying, religious "EXPERTS." THE BEST DEFENSE IS A GREAT OFFENSE – GENUINE CHRISTIANITY HAS ALWAYS HELD TO THE STRAIGHT, MALE, GOD! SEE THE APOSTLE'S CREED AND THE LORD'S PRAYER. GOD’S INHERENT, STRAIGHT BEING IS THE 800,000-POUND-GORILLA-IN-THE-ROOM -- REASON FOR BEING STRAIGHT. God is THE true role model, THE true mentor, THE, ABSOLUTE, DEFINITION OF MANHOOD. His holy desires for a -- differential, complimentary, person, soul mate -- defines WOMANHOOD. I had occasion to ask a woman hospital nurse a question. She was middle aged, highly skilled and educated, and I understood her to be a knowledgeable Bible believer. I got her off to the side - so she would not be influenced by anyone. I asked, "Does the Bible teach God is a male?" Her answer was sure and immediate --"YES." Then I asked, "Do you realize the great majority of Bible teachers, preachers, etc., say God is neuter." Her answer was again immediate, and sure -- "I GO BY THE BIBLE." I felt like saying, "Amen, sister." If you ask, in private, knowledgeably persons for whom the Bible IS their FINAL AUTHORITY, they will answer as that nurse did. These are usually lay folks with NO church positions that could be jeopardized. If you ask persons WITH church positions, pastors, bible teachers, etc. -- They will usually say God is neuter, having no body. There are individual exceptions among clergy. I have met less than a handful. The correct answer -- God DOES HAVE A SUPER-DUPER SPIRIT BODY AND IT IS A MALE BODY! THIS IS NOT JUST ME SAYING THIS -- THIS IS THE CANDID, AND CLEAR TEACHING OF THE WHOLE BIBLE IN THOUSANDS OF PARTICULARS. 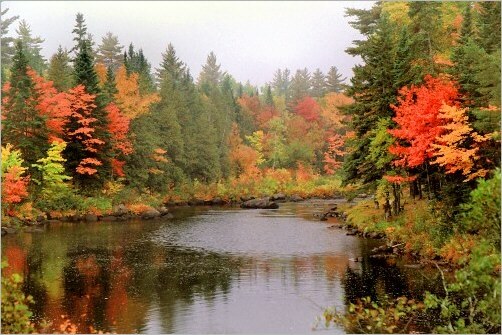 31 The glory of the Lord shall endure for ever: the Lordshall rejoice in his works.